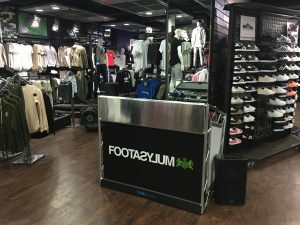 The DJ’s favourite DJ Booth. The LiteConsole XPRS is available for hire from DJ Gear Hire from just £75 +VAT per night. 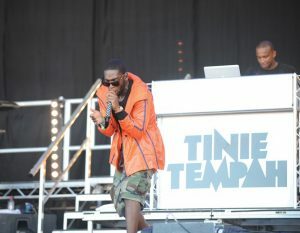 A real professional look, with plenty of room for your Mixer, a pair of Vinyl Decks, your CDJs and your laptop. No need to find and set-up on a table anymore. The new design makes it very easy to assemble. It takes one person just a matter of minutes. 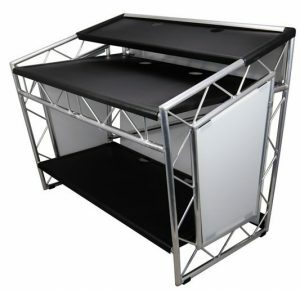 The innovative folding frame design means the LiteConsole XPRS will flat pack into its carrying case. 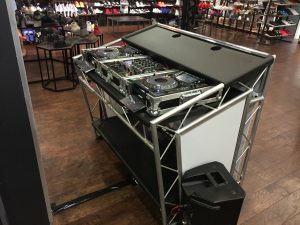 The LiteConsole DJ Booth modules comprise of just six primary easy-to-connect sections. 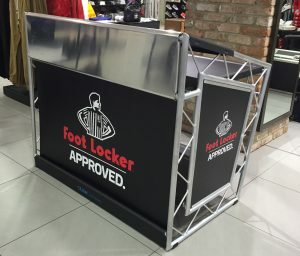 Standard modules are designed to house a logo panel, although this open space could feature a 50 PLASMA screen. 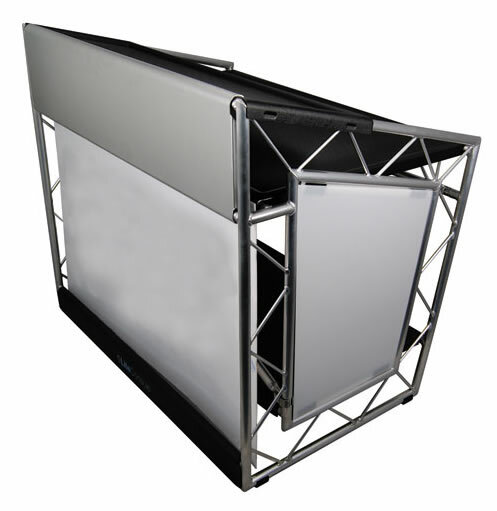 The LiteConsole XPRS DJ Console comes as standard with side and front white perspex panels. These are semi-opaque, which allows them to be effectively backlit with any type of light source such as LED par cans, lasers or uplighters. 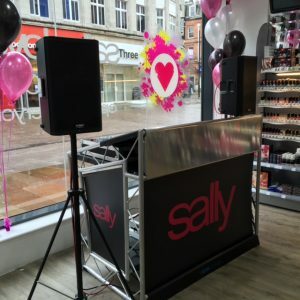 We can also advise on having the console branded with company name and logo, the name of the DJ or the names of the happy couple if used for a wedding. 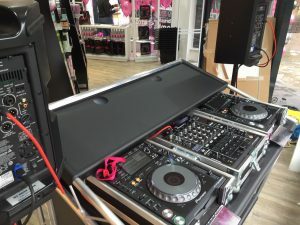 There are a few great photos below of the XPRS DJ Console in action. See the bottom image of sizes of the panels for branding is the bottom image. Or please call for more details. Here’s all the spec. For dry hire, you will need a van to collect and return the LiteConsole XPRS. 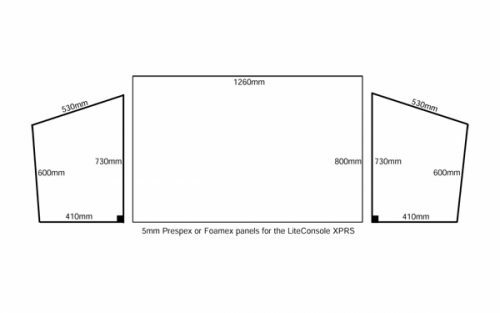 Here are the sizes of the LiteConsole XPRS built and folded down in the case. If you need any further info, please get in touch.